“The voices that are crying out the loudest seem to have only recently found their sense of righteous indignation,” he continued. Smollett performed a mere 16 hours of community service over two days at Jackson’s civil rights groups — the Rainbow PUSH Coalition — which the Cook County State’s Attorney’s Office cited in its announcement that it was dropping all 16 charges against the actor for filing a false police report regarding the alleged stage assault. 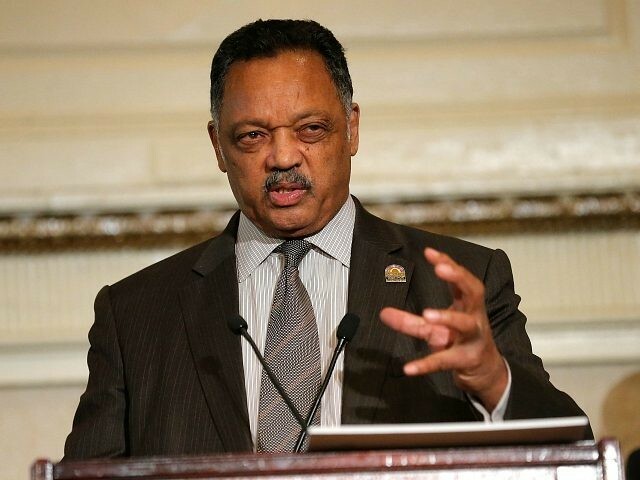 In an interview with the Chicago Sun-Times this week, Jackson dismissed criticism over his involvement in the Smollett case, stating “reach out to people who are in distress” has always been a part of his group’s mission. “PUSH has always been a house of refuge. It’s part of what we do, reaching out to people who are in distress, and we have done so in many high-profile cases over the years, from Sammy Davis Jr., when he hugged President Nixon and black folks turned against him, to Bobby Rush, after police tried to kill him in the Black Panthers raid,” he told the newspaper. Jaconson then called on Chicagoans to accept the decision of prosecutors to let Smollett off the hook. Police charge Smollett, who is African-American and gay, paid two brothers — Abel and Ola Osundairo — to stage the January 29th attack in downtown Chicago in an attempt to boost his career. Smollett told detectives his assailants wore masks as they hurled insults, lopped a thin rope around his neck and doused him with an unknown liquid. He also said the attackers shouted “This is MAGA country,” a reference to President Trump’s “Make America Great Again” campaign slogan, before fleeing the scene. City officials on Thursday warned Smollett that he could be prosecuted for lying if he fails to repay roughly $130,000 cost of the Chicago Police Department’s investigation into his alleged hate hoax in the next seven days.